For good oral health healthy gums is important. ODOL PLUS with its special composition of antibacterial ingredients, sage oil and an ingredient of chamomile maintains the gums and helps the daily oral care supplement. ODOL PLUS maintains the gums. Brushing alone is often not enough. Because bad breath arises even where the toothbrush can not reach. 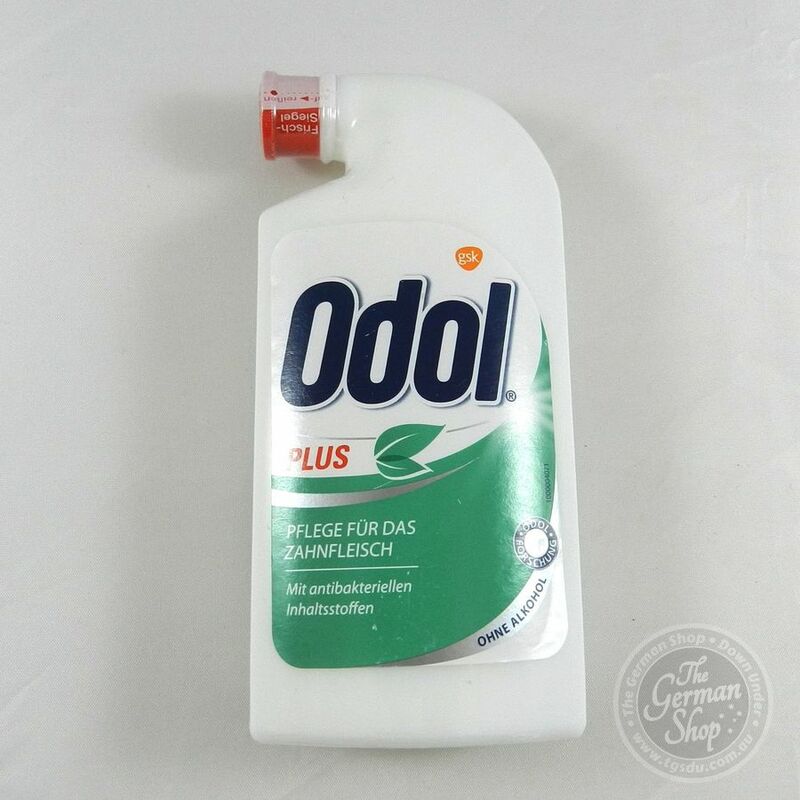 ODOL PLUS reaches the whole mouth and are sympathetic fresh breath. Propylene Glycol, PEG-6, aqua, aroma, Bisabolol, Zinc Chloride, cetylpyridinium chloride, Sodium Saccharin, Salvia Officinalis Oil, eugenol, limonene, linalool, citronellol.